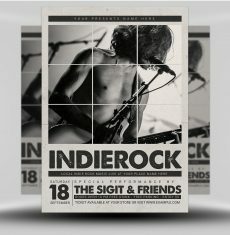 Here we have an excellent vintage style indie poster template for advertising a weekly live band event. 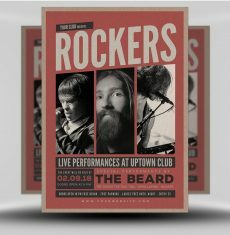 Use the 9 image slots to insert members of the performing bands or pictures of the crowds at your club. 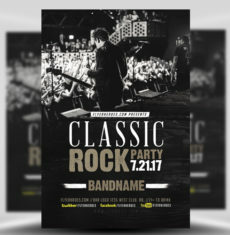 The header of the poster includes a large title and subtitle area, leaving plenty of room for your event name or club logo. 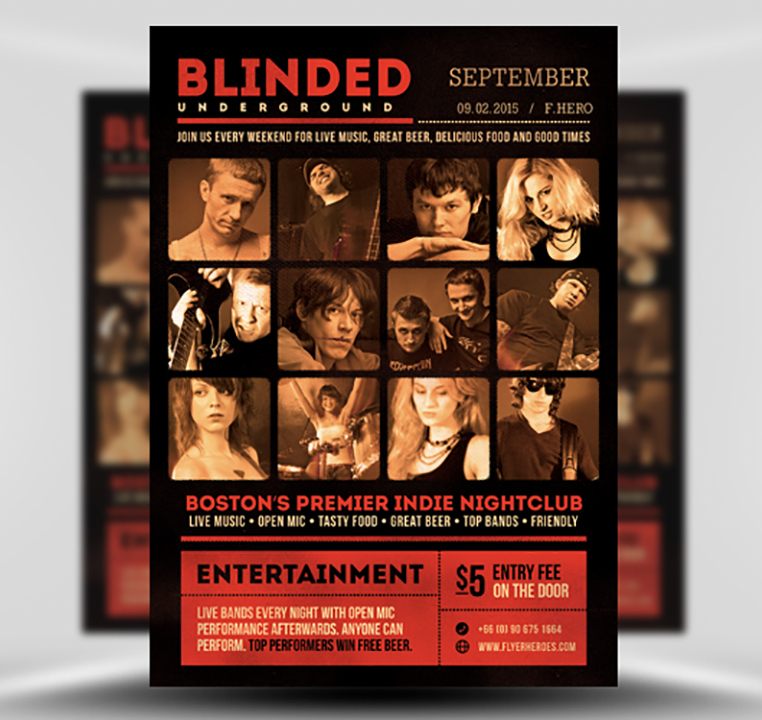 Alongside this you can insert important event details such as opening time, location and dates. 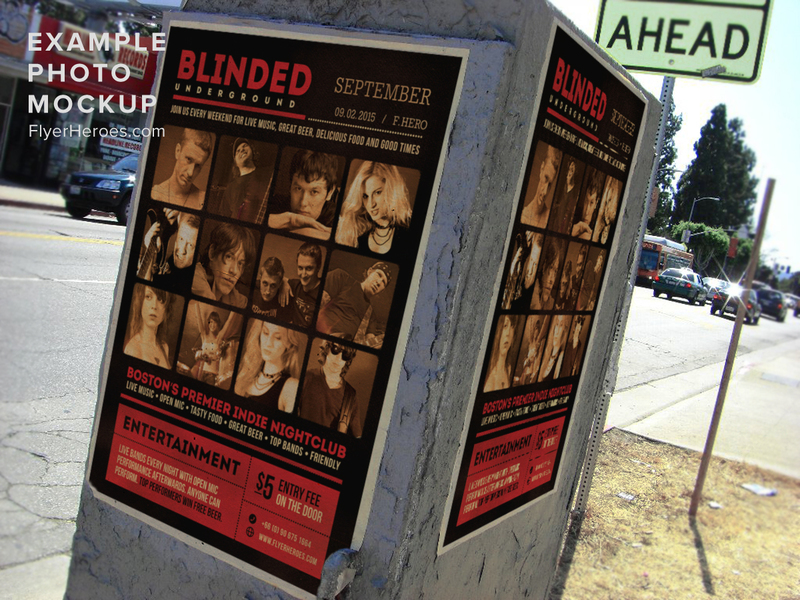 The footer of the poster provides space for more detailed information on your event as well as a secondary headline. 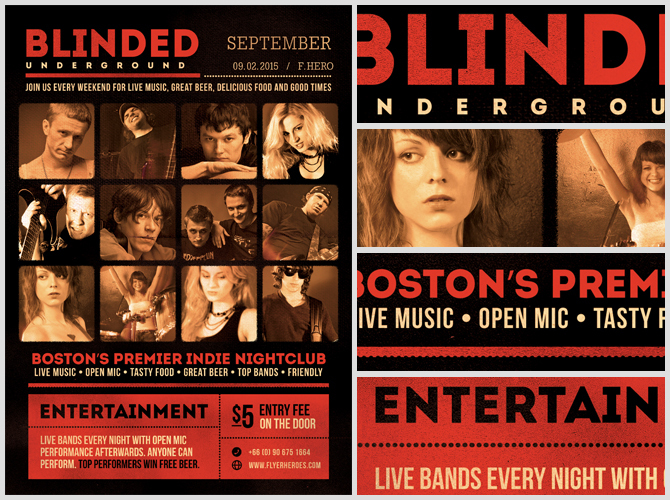 This section is beautifully laid out like vintage ticket, adding to the indie character of your design. 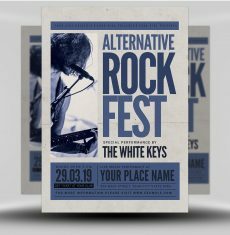 Whether you’re choosing this template for a one-off or regular event, with just a few minutes work you’ll create a high quality poster that accentuates your brand. 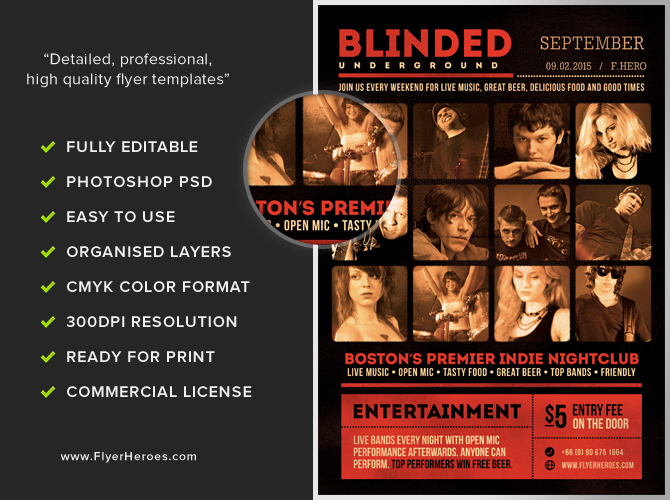 Blinded Indie Poster Template is a premium Photoshop PSD flyer / poster template designed by FlyerHeroes to be used with Photoshop CS4 and higher.